Simple SMS sending procedure to broadcast sms in bulk numbers from PC to group of mobile phone users using Windows powered mobile phones. Software provides excellent interface to broadcast sms in bulk numbers instantly from PC without typing same message again and again. Relay on easy and simple to use sms sending utility to broadcast hundreds of text messages without use of internet connectivity. 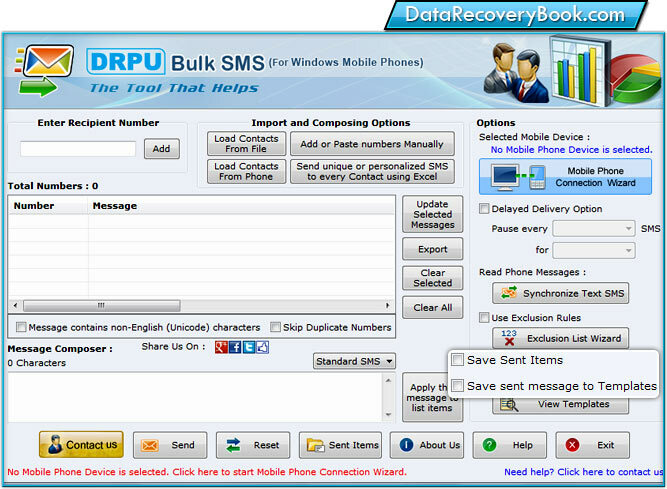 Download and try bulk SMS Software designed for Windows powered mobile devices. 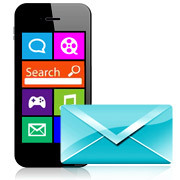 Text messaging software – Windows Mobile Phone easily sends sms including Personalized SMS, Event alerts, Promotional campaigns, Meeting alert for employees, Job alerts, Season greetings, Invitational sms, Warm wishes, Advertisement, Product schemes, Business sms etc. Supports all major Windows compatible Pocket PC brands like Samsung, Asus, O2, Motorola, Sony Ericsson, HTC, Gigabyte, Velocity, E-Ten, Palm Treo Pro, Toshiba, Benq, Spice, T mobile etc. Compatible with all Windows based Mobile Phone handsets supported by Microsoft ActiveSync and Windows Mobile Device Center.